Should Landlord Screen Tenant’s Family Members? 1. As you mention, one of the occupants may be dangerous or otherwise not tenant-worthy. 2. If the “primary” applicant leaves, the other occupant may remain behind. 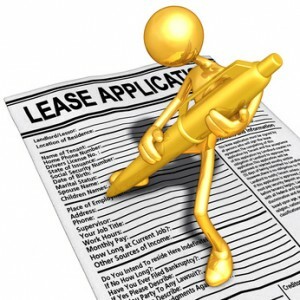 In that case, you may have no contact information on this tenant, and no way to enforce the provisions of the lease. 3. It is the first step in preserving joint and several liability so that all occupants are liable for rent or subsequent damage to the property. Each of these is a key consideration when it comes to managing your rental properties. You owe it to other tenants and adjacent property owners to keep the premises safe, and that means screening out dangerous individuals. At the same time, you need to know who is living in your rental property, and always want to maximize your legal rights under the lease agreement. The best practice is to treat each adult occupant as a tenant. Avoid renting to one primary tenant who alone shoulders the responsibilities under the lease. In the case of roommates, the process is clear — collect a rental application from each person, run tenant credit checks on all proposed occupants, and ask them all to sign the lease. However, with families, the issue is more complicated because some of the occupants may be children or dependents under disability. In that case, privacy laws or special landlord tenant laws may make it impractical to screen everyone. As a general rule, you will want to screen all the proposed adult occupants. However, you may be limited on what you can ask about the tenants’ kids. Requiring personal information like birth dates or where kids go to school is a bad idea. It is important, however, to have a head count of occupants in case of an emergency. Likewise, you may need to soften your policy in the case of any family member who is incapacitated and under a tenant’s care. Tread carefully here because you cannot treat tenants with family members any differently than other tenants. Once you screen the adult occupants, and assuming that, together, they meet your qualifications, be sure to list each of these adults as a tenant in the lease agreement. That makes it easy to show co-tenancy so that joint and several liability applies. That provides incentive for everyone to perform under the lease agreement. As far as asking permission to screen family members, that is accomplished by having each adult complete a separate rental application which will provide consent to run a tenant background check on each occupant.